“Organic Agriculture is a production system that sustains the health of people and soils, ecosystems. It relies on ecological processes, biodiversity and cycles adapted to local conditions, rather than the use of inputs with adverse effects. Vegetable production using natural sources of nutrients (such as compost, crop residues, and manure) and natural methods of crop and weed control, instead of using synthetic or inorganic agrochemicals. The principal goal of organic production that is sustainable and harmonious with the environment. Simply stated, organic produce and other ingredients are grown without the use of pesticides, fertilizers, genetically modified organisms, antibiotics and growth hormones. The organic standards generally prohibit products of genetic engineering, synthetic pesticides, synthetic fertilizers, sewage sludge, synthetic drugs, synthetic food processing aids and ingredients, and ionizing radiation Organic farming presents many challenges. Some crops are more challenging than others to grow organically; however, nearly every commodity can be produced organically. The main reasons farmers state for wanting to farm organically are their concerns for the environment and about working with agricultural chemicals in conventional farming systems. There is also an issue with the amount of energy used in agriculture, since many farm chemicals require energy intensive manufacturing processes that rely heavily on fossil fuels. Organic farmers find their method of farming to be profitable and personally rewarding. Ashram Sri Lanka is a nonprofitable organization so organic farming products are not for sale .we only concern visitor’s health and the taste. You come as a visitor and leave us as family. 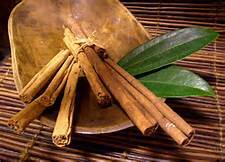 Endemic to Sri Lanka, Cinnamon is used mostly in dessert dishes. And It is used in curries. It may be used to spice mulled wines, creams and syrup. 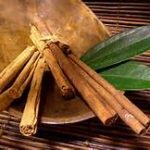 Locally cinnamon is used to flavor curries and sweets. In Mexico, Sri Lankan cinnamon it is drunk with coffee and chocolate and brewed as a tea. Ginger has a natural affinity to meats, poultry, and fish. Fresh ginger is essential to Asian and oriental cookery. It is used in pickles, chutneys and curry pastes and the ground dried root is a constituent of many curry powders. Tender young ginger can be sliced and eaten as a salad. 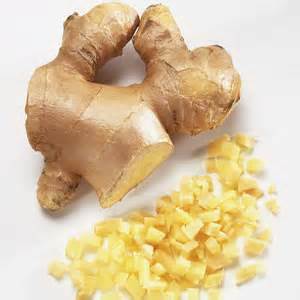 In the West, dried ginger is mainly used in cakes and biscuits especially ginger snaps and gingerbread. Ginger is also used in puddings, jams, preserves and in some drinks like ginger beer, ginger wine and tea. Pickled ginger is a delicious accompaniment to stays and a colorful garnish to many Chinese dishes. Preserved ginger is eaten as a confection, chopped up for cakes and puddings, and is sometimes used as an ice cream ingredient. 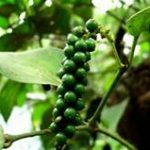 This is often used in conjunction with garlic in a paste form to flavor vegetables, meats and savory rice dishes in Sri Lanka. 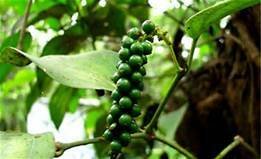 Black peppers have been in use since centuries for their anti-inflammatory, carminative, anti-flatulent properties. It has also been found that piperine can increase absorption of selenium, B-complex vitamins, beta-carotene, as well as other nutrients from the food. 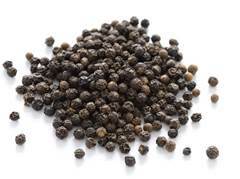 Black peppercorns contain a good amount of minerals like potassium, calcium, zinc, manganese, iron, and magnesium. Potassium is an important component of cell and body fluids that helps controlling heart rate and blood pressure. Manganese is used by the body as a co-factor for the antioxidant enzyme, superoxide dismutase. Iron is essential for cellular respiration and blood cell production. They are also an excellent source of many vital B-complex groups of vitamins such as Pyridoxine, riboflavin, thiamin and niacin. 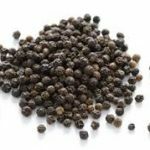 Peppercorns are a good source of many anti-oxidant vitamins such as vitamin-C and vitamin-A. They are also rich in flavonoid polyphenol anti-oxidants like carotenes, cryptoxanthin, zea-xanthin and lycopene. These compounds help the body removes harmful free radicals and helps protect from cancers and diseases. 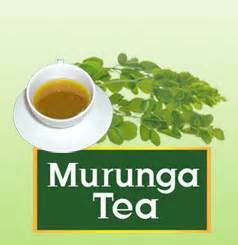 The leaves of Murraya koenigii are also used as an herb in Aurvedic medicine. 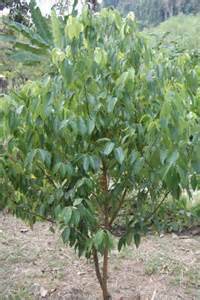 Although most commonly used in curries, leaves from the curry tree can be used in many other dishes to add flavor. In Cambodia, Khmer toast the leaves in an open flame or roast it until crispy and then crush it into a soured soup dish called maju krueng. The lemon (Citrus × Limon), Lemons were the primary commercial source of citric acid before the development of fermentation-based processes. 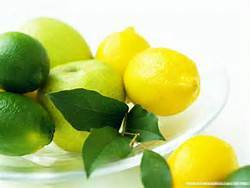 The juice of the lemon may be used for cleaning. A halved lemon dipped in salt or baking powder is used to brighten copper cookware. The acid dissolves the tarnish and the abrasives assist the cleaning. As a sanitary kitchen deodorizer the juice can deodorize, remove grease, bleach stains, and disinfect; when mixed with baking soda, it removes stains from plastic food storage containers. 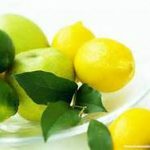 The oil of the lemon’s peel also has various uses. It is used as a wood cleaner and polish, where its solvent property is employed to dissolve old wax, fingerprints, and grime. Lemon oil and orange oil are also used as a nontoxic insecticide treatment. 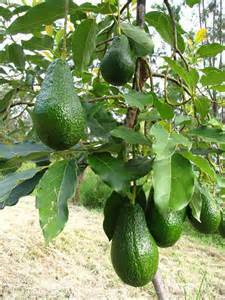 The avocado is very popular in vegetarian cuisine, as substitute for meats in sandwiches and salads because of its high fat content. It is used in both savory and sweet dishes, and in non-culinary creams for facials and body massages. Many Sri Lankans puree ripe avocado with sugar, a dash of salt and milk to make a creamy dessert. 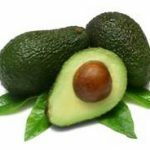 It is said to prevent Bad breath, Beauty aid, Blood pressure, Cholesterol, Duodenal ulcer, Bad Eyesight, Kidney stones, Morning sickness, Prostate cancer and Psoriasis avocado is also an excellent remedy for dry skin. 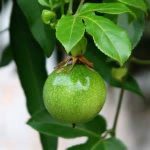 Unripe and ripe they are used to flavor deserts, tenderize meats, and to make preserves, pickles, cereals, confectionery, baby foods, beverages and even vinegar. 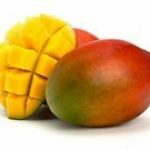 There are countless traditional recipes and methods for making mango chutneys. The raw fruit is also cooked and served as a curry in Sri Lanka. 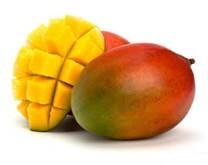 Mango fruits can help to prevent colon cancer, especially in cases where there is a lack of fiber in the diet. 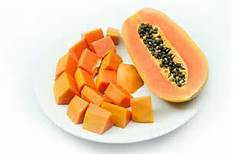 A properly ripened papaya fruit taste sweet and juicy. 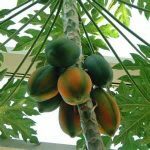 Papayas can be used as a food, a cooking aid, and in medicine. The ripe fruit is usually eaten raw, without skin or seeds. The unripe green fruit of papaya can be eaten cooked, usually in curries, salads and stews. It has a relatively high amount of pectin, which can be used to make jellies. 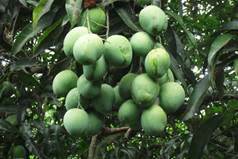 Green papaya is used in south East Asian cooking, both raw and cooked. In Sri Lanka raw papaya is made as a scrumptious pickle. 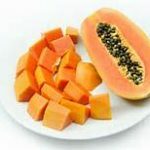 Papaya is good for balanced nutrition. Sri Lanka passion fruit is made in to a juice. 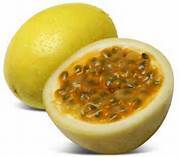 The passion fruit can be cut in half and the pulp scooped out and eaten. You can enjoy passion fruit with ice cream, yogurt, fruit salads or just fresh and raw by itself. fruit pulp can also be used in jams, jellies and drinks. Fresh passion fruit is high in beta carotene, potassium, and dietary fiber. 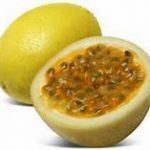 Passion fruit juice is a good source of ascorbic acid (vitamin C), and good for people who have high blood pressure. Pineapple, Ananas comosus, belongs to the Bromeliaceous family, Pineapples have exceptional juiciness and a vibrant tropical flavor that balances the tastes of sweet and tart. Pineapple is an excellent source of vitamin C and manganese. 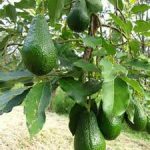 It is also a very good source of copper and a good source of vitamin B1, vitamin B6, dietary fiber, foliate, and pantothenic acid. 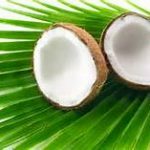 The coconut tree (Cocos nucifera) is a member of the (palm family) the various parts of the coconut has a number of culinary uses. The seed provides oil for frying, cooking, and making margarine. 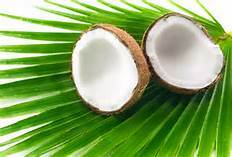 The white, fleshy part of the seed, the coconut meat, is used fresh or dried in cooking, especially in confections and desserts such as macaroons. Desiccated coconut or coconut milk made from it is frequently added to curries and other savory dishes. Coconut flour has also been developed for use in baking, to combat malnutrition. certain specialty products made of coconut milk solids or pureed coconut meat and oil. Dried coconut is also used as the filling for many chocolate bars. Some dried coconut is purely coconut, but others are manufactured with other ingredients, such as sugar, polypropylene glycerol, salt, and sodium met bisulfite. Cassava can be cooked in many ways. The root of the sweet variety has a delicate flavor and can replace potatoes. 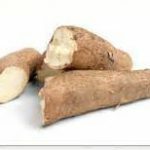 Cassava root is essentially a carbohydrate source. Its composition shows 60–65 percent moisture, 20–31 percent carbohydrate, 1–2 percent crude protein and a comparatively low content of vitamins and minerals. However, the roots are rich in calcium and vitamin C and contain a nutritionally significant quantity of thiamine, riboflavin and nicotinic acid. 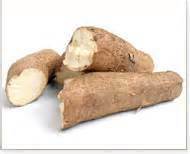 Cassava starch contains 70 percent amylopectin and 20 percent amylose. Cooked cassava starch has a digestibility of over 75 percent. 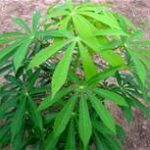 Cassava root provides little protein, but that protein does contain essential amino acids. 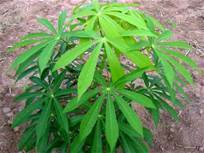 Methionine, cysteine and cysteine are the limiting amino acids in cassava root. 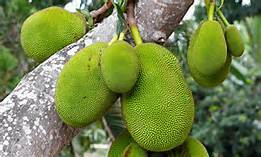 Breadfruit (Artocarpus altilis) is a member of the Moraceae (fig) family. 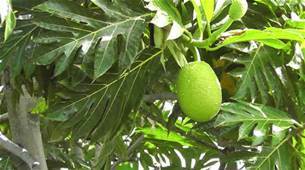 Breadfruit is very rich in starch, which transforms to sugars when very ripe. Before being eaten, the fruits are roasted, baked, fried or boiled. When cooked, the taste of moderately ripe breadfruit is described as potato-like, or similar to freshly baked bread. Breadfruit is 71% water, 27% carbohydrates, 1% protein and negligible in fat (table). 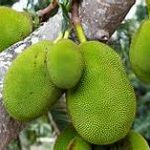 Raw breadfruit is a rich source (20% or more of the Daily Value, DV) of vitamin C, a good source (10-19% DV) of thiamin and potassium, with no other nutrients in significant content (table). .
Murunga (Moringa) is tree grown in many home-gardens for its use as a vegetable. 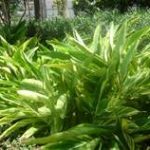 Its fragile soft white/grey trunk and branches with tiny light green leaves and lily white flowers are known from ancient times to have high medicinal value. • Leaf supplement for lactating mothers to increase milk. • Cattle fodder to increase milk yield by up to 30%. 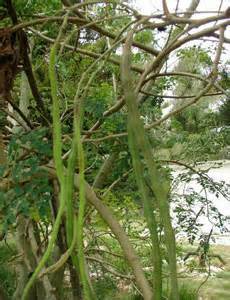 Its seeds are used to get oil “Ben Oil” used as a cosmetic preparation. 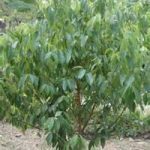 The tree is very easily grown by planting branch cuttings or seeds in any piece of land even in the most arid places in the tropics. Where there is no access to purified water like in remote villages, put a handful of dried seeds per bottle of water and keep it for about 5 hours and the water will be clean for general use and cooking. Vitamin and nutrition intake. 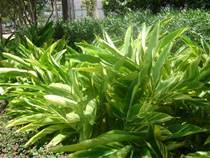 Use the leaves fresh as a vegetable preparation or dry the leaves for one or two days and pound it to be a powder. It can be sprinkled into milk or other food preparations. A small handful of fresh leaves can be put into a cup with boiling water added to make a refreshing cup of green tea. Fresh leaves used as a vegetable gives all the vitamin and mineral needs for healthy living. 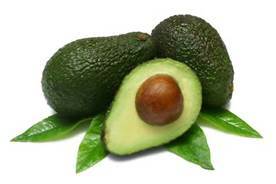 Vitamin A, B1, B2, B3, C, Calcium, Chromium, Copper, Iron, Magnesium, Manganese, Phosphorous, Potassium and Protein. 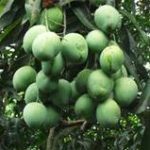 Fertilizer, Insecticide, Fungicide, Juice/honey Clarifier among others as well as its use in Traditional medicine for Anemia, Anxiety, Asthma, Blood impurities, Blood pressure, Bronchitis, Catarrh, Cholera, Conjunctivitis, Cough, Diabetes, Diarrhea, Dysentery, Eye and ear infections, Fever, Glandular swelling, headaches, Intestinal worms, Jaundice, Lactation, Malaria, Pain in joints, Pimples, Psoriasis, Respiratory disorders, Skin infections, Sores, Sprain, Stomach ulcers, Tuberculosis, /Tumor, Urinary disorders, Wounds among others. 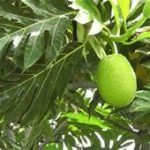 Citronella oil is one of the essential oils obtained from the leaves Direct application of citronella oil has been found to raise the heart rate of some people. 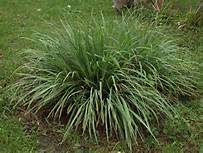 At present, the world production of citronella oil is approximately 4,000 tones. The market for natural citronella oil has been eroded by chemicals synthesized from turpentine derived from conifers. 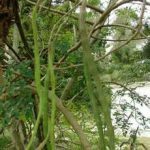 However, natural citronella oil and its derivatives are preferred by the perfume industry. 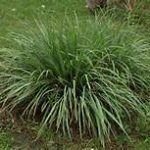 Citronella oil is popular as a “natural” insect repellent. Its mosquito repellent qualities have been verified by research. To be continually effective, most citronella repellent formulas need to be reapplied to the skin every 30–60 minutes.